The name refers to the drink’s Irish ingredients – typically Guinness stout, Baileys Irish Cream, and Jameson Irish Whiskey – and the car bombings notoriously used by the Provisional Irish Republican Army (PIRA) during the Troubles. 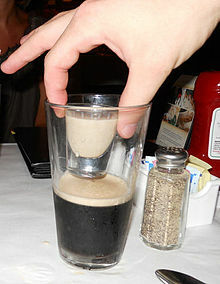 The whiskey is floated on top of the Irish Cream in a shot glass, and the shot glass is then dropped into the stout. Once mixed, the drink must be consumed quickly because it will curdle….ewwwww. 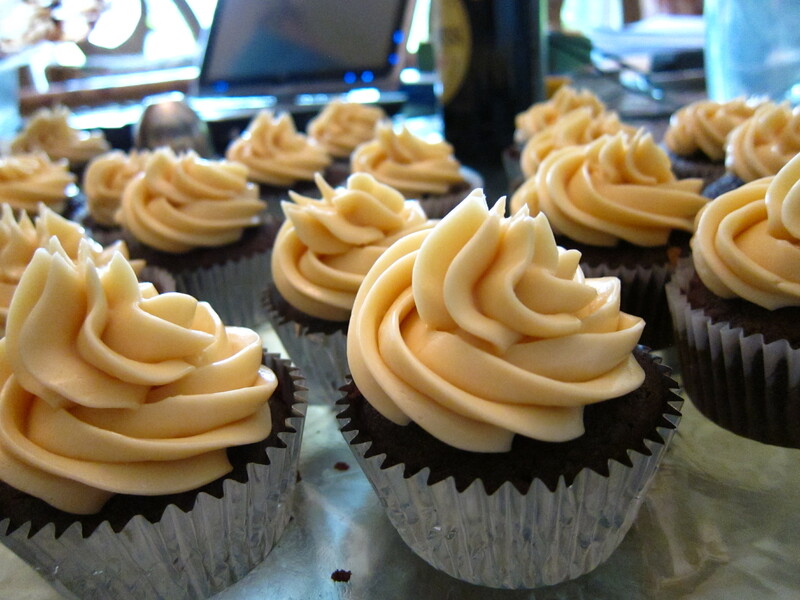 Well, I had a nice bottle of Baileys and thought, wouldn’t it be nice to make a cupcake out of this delectable liquor? 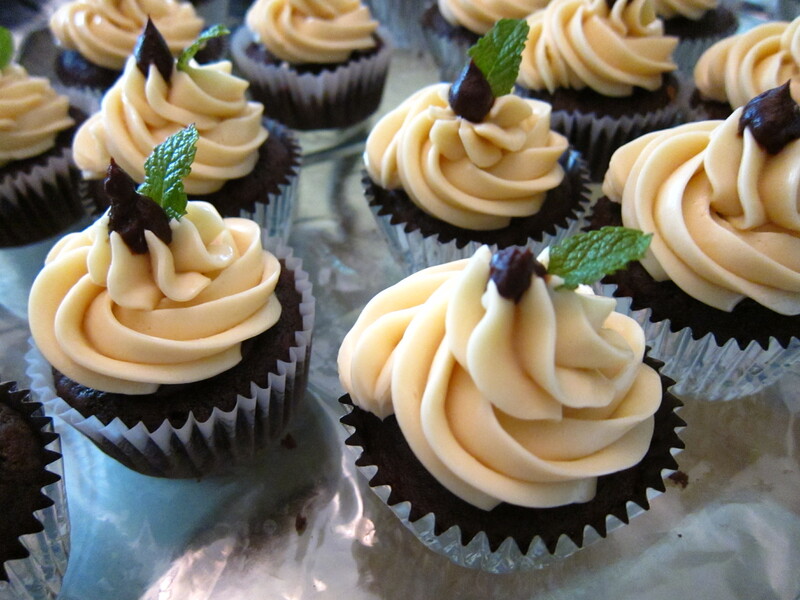 I started searching the web for yummy recipes and fell upon the Irish Car Bomb Cupcake. My first thought: challenge. And well, I never turn down a challenge. 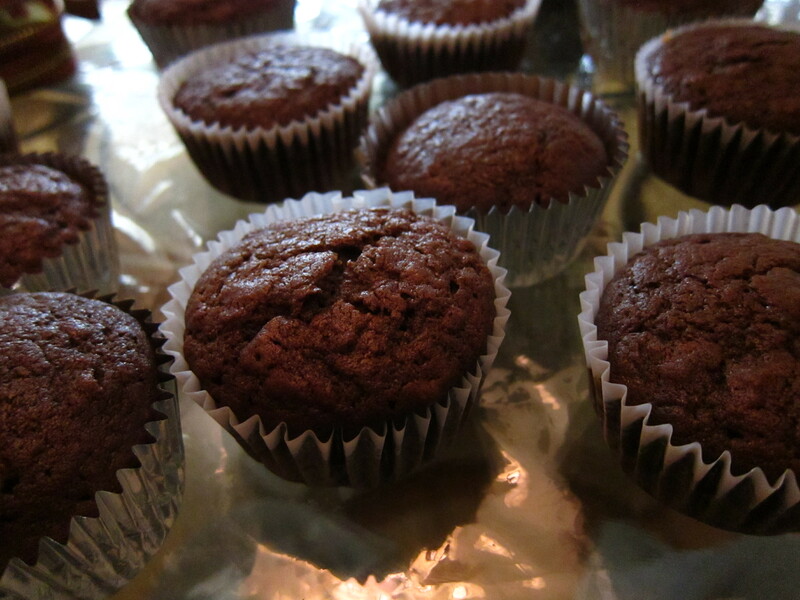 They turned out very very yummy! 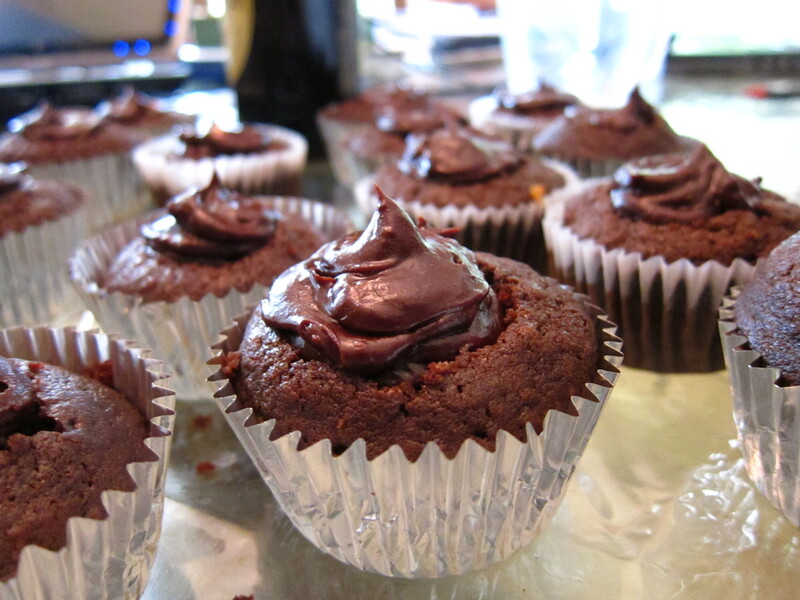 So first, we begin with making a chocolate Guinness cupcake. Alright, so you know the drill: mix dry and wet separately and then together. VOila! Batter! 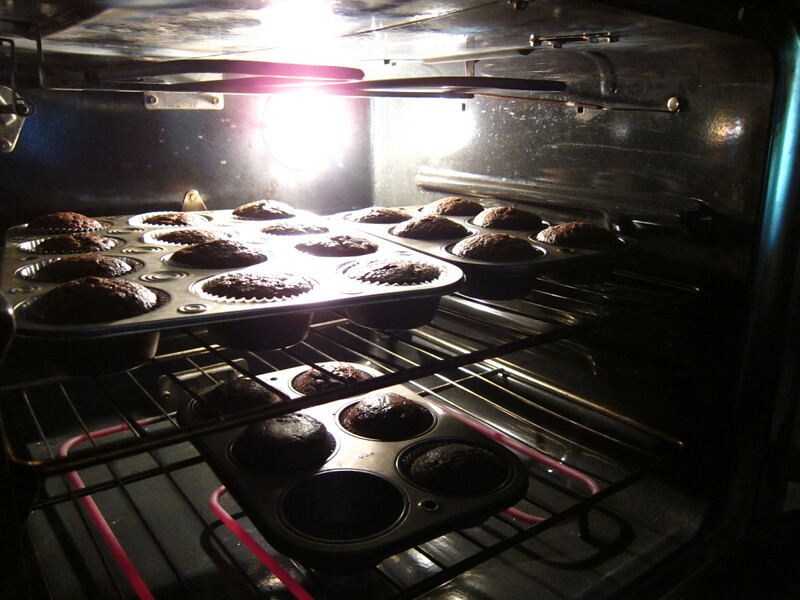 Pour into cupcake tin and bake for 17-20 minutes for 350 degrees. 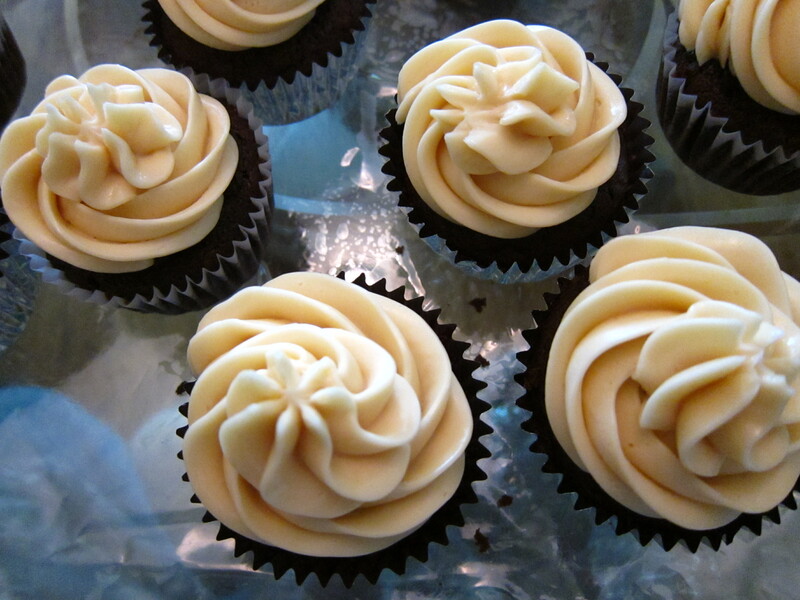 Okay, on for the frosting: Baileys Irish Cream Frosting. Mix softened butter, powdered sugar and 8-10 tbsp of Baileys. 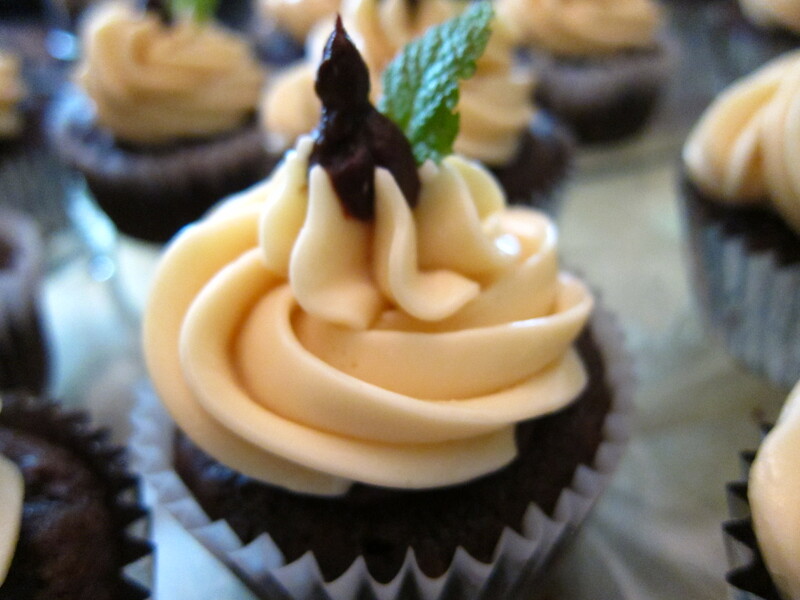 Now plop that frosting into a pastry bag and pipe in on top of the cupcakes. 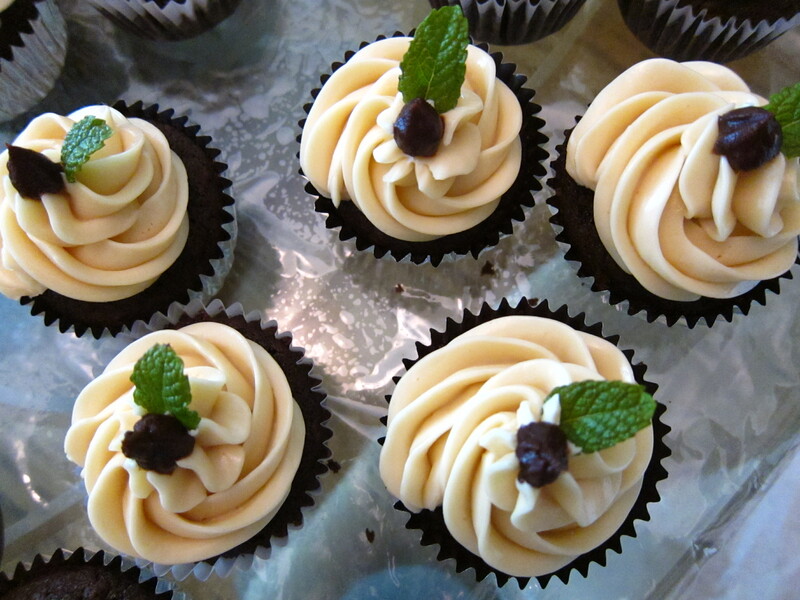 I had a bit more of the Jameson ganache so I dolloped a little bit on top of the frosting and then garnished the cupcakes with baby mint leaves form our garden. Needless to say, they were quite a hit! Chop the chocolate and transfer it to a heatproof bowl. 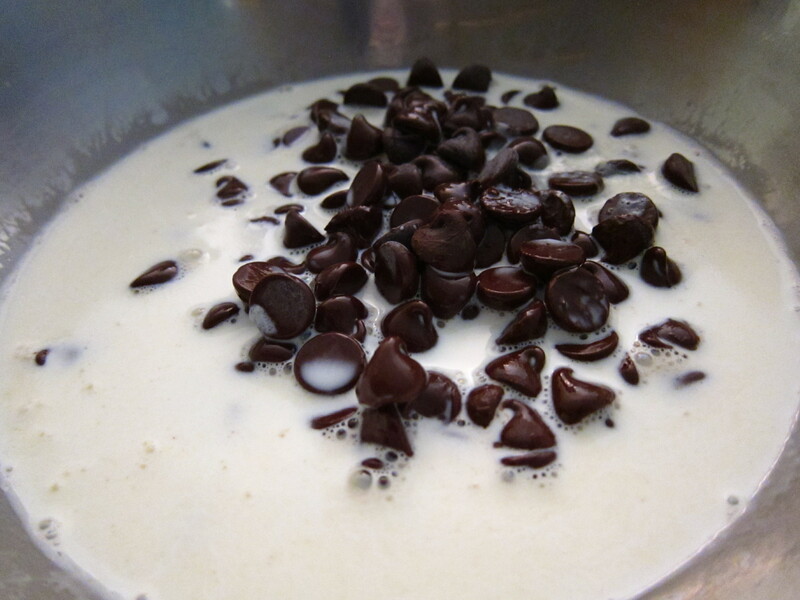 Heat the cream until simmering and pour it over the chocolate. Let it sit for one minute and then stir until smooth. 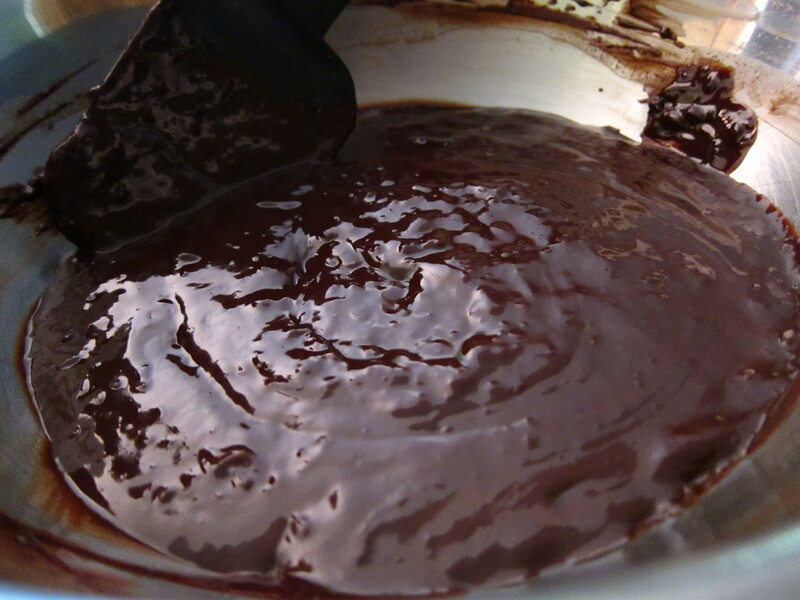 (If this has not sufficiently melted the chocolate, you can return it to a double-boiler to gently melt what remains. 20 seconds in the microwave, watching carefully, will also work.) Add the butter and whiskey and stir until combined. 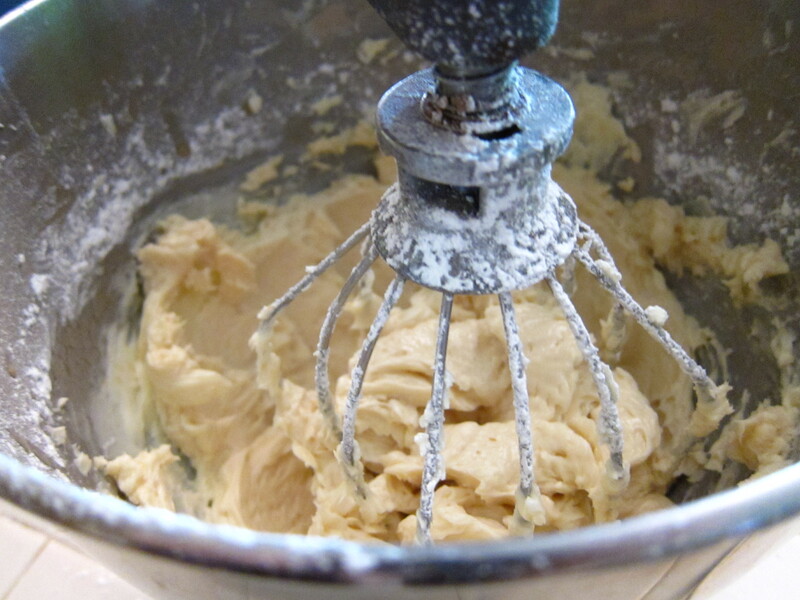 Whip the butter in the bowl of an electric mixer, or with a hand mixer, for several minutes. You want to get it very light and fluffy. Slowly add the powdered sugar, a few tablespoons at a time until you get the sweetness level you like. Core the chocolate cupcakes and fill with ganache. Then pipe on the frosting. Decorate any way you would like after that and enjoy! I made these to rave reviews. Really, what ‘s not to like?? I was glad to see that you experimented with more Bailey’s in the icing without adverse results; I, too saw the recipe that used only 1 to 2 teaspoons but couldn’t even taste it. Thanks to you, I pumped it up. 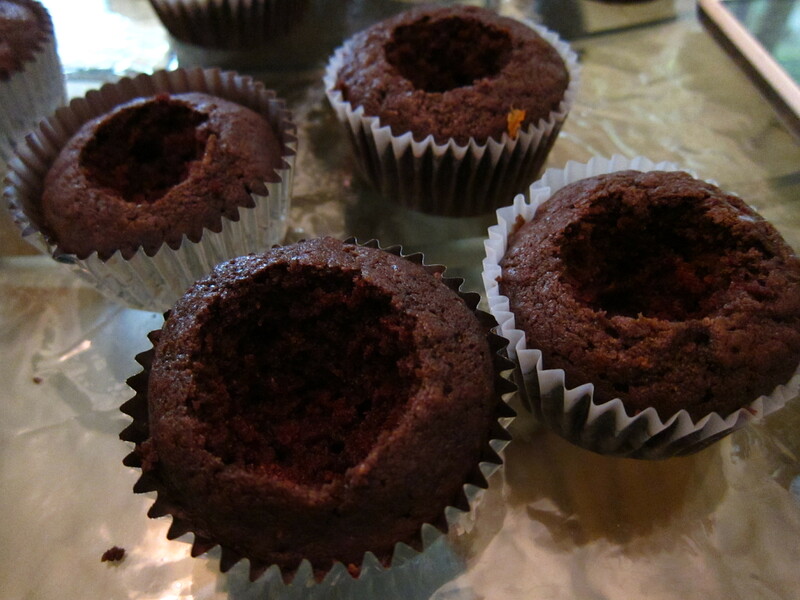 I actually took the liberty of adding more whiskey to the ganache (2 tablespoons), too. Yum. Your cupcakes are so cute and the photos are perfect!